LOOM @ Rotherham Indoor Market, 4–8th March 2019. 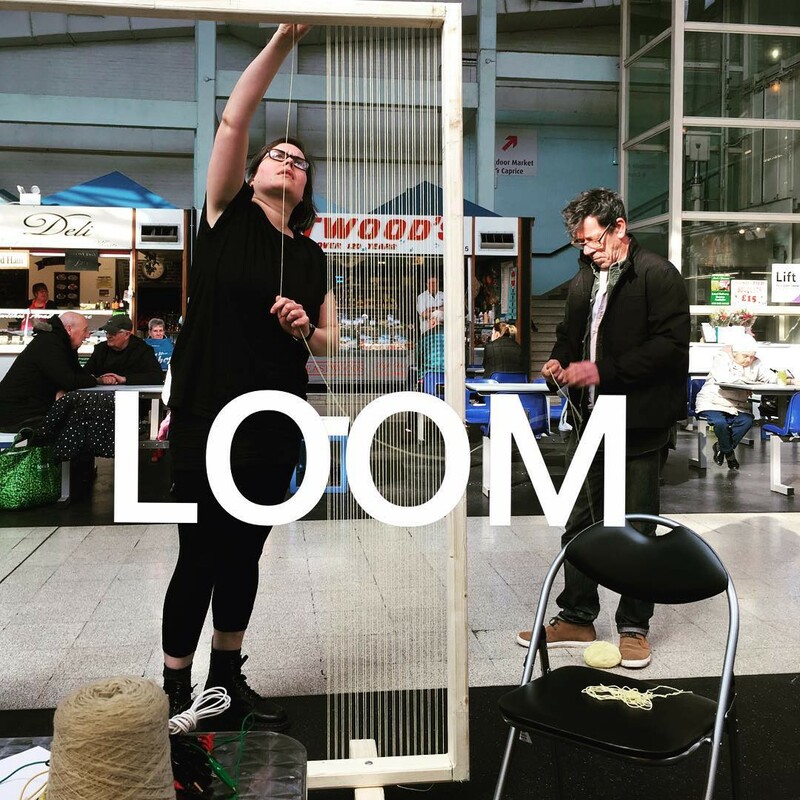 In celebration of International Women’s Day, ROAR received some funding from the Louder Together initiative and commissioned Sheffield based artist Toni Buckby to run a project — LOOM — in Rotherham’s Indoor market from March 4th — 8th. As a team, we helped facilitate this work throughout the week. The idea around the project was to create a piece of woven work on a huge LOOM. As well as using textiles and wool, a number of electronics were also woven into the mix to create both light and sound. The aim was to engage with members of the public so they could have a go themselves. 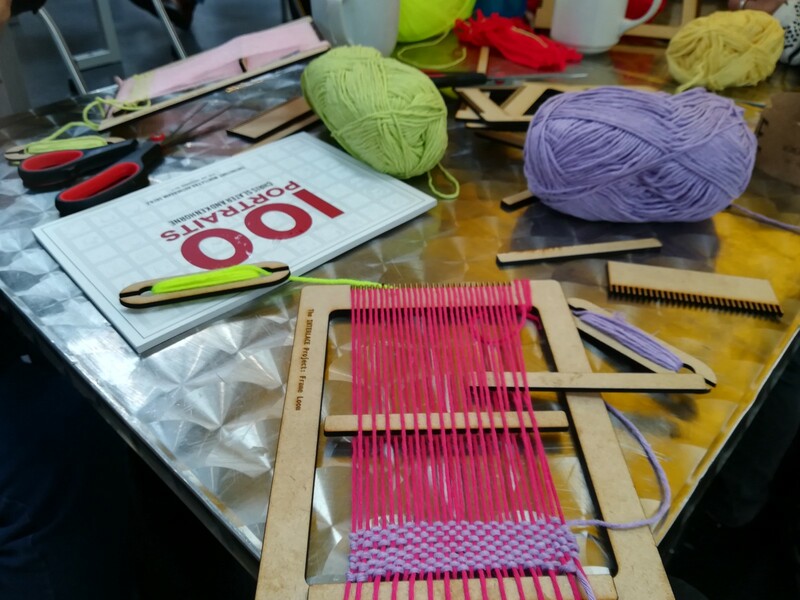 On the Thursday, two workshops were set up and Toni taught participants how to weave on a smaller LOOM, part her own initiative- The Interlace Project. I attended the afternoon workshop alongside a ROAR member and an English Language class from the Unity Centre. The experience was incredibly fun and Toni very good at helping me resolve any issues (over, under, over, under on repeat in my head). We all went away smiling. 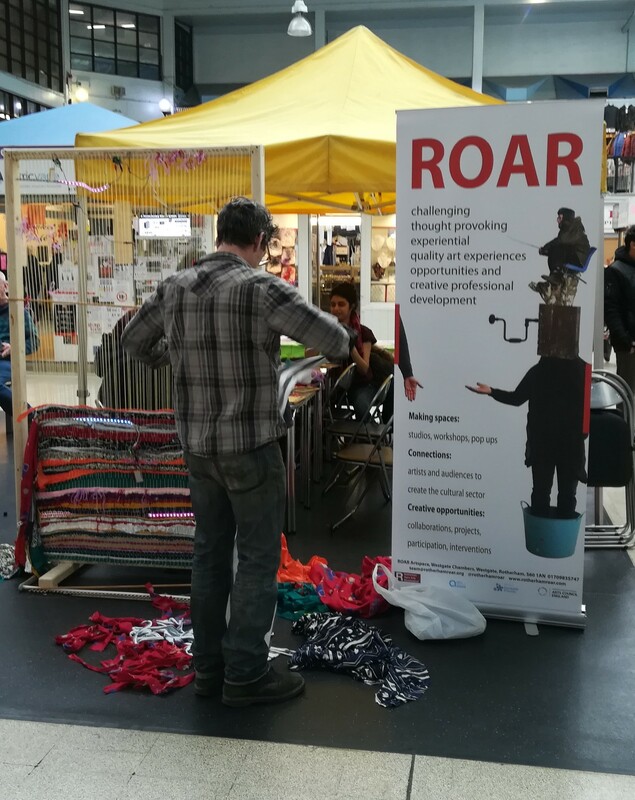 The market was a great location for the project; people really seemed to feel comfortable enough to engage with us, having a go at weaving on the big LOOM, but also asking further questions about ROAR. Being located near the seating area, where people ate their lunches was definitely helpful! 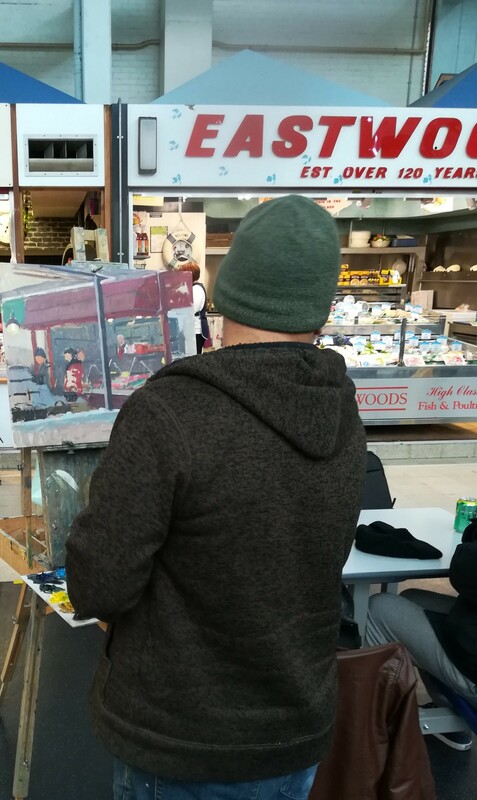 ROAR member and plein air artist Chris Slater capturing the moment. Toni has now received funding to bring this project to Sheffield!